After Team 4 had finished it was time for our awards to be handed out. 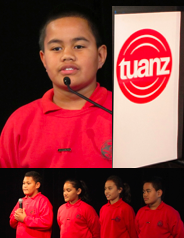 “These awards are for Citizenship, 100% attendance and effort” Mr Burt said. As some people were going on stage parents and older siblings were coming up to the stage. More awards were being handed out and as time went on it started to heat up and my back was starting to ache. Then I heard that Mr Burt was handing out the sports awards. “These are the awards for rugby rep” Mr Burt said. I knew I was going to get an award because I played for Bill Mclaren. My name was called and I walked to Mr Telea to get my certificate and medal. Then the Academics was announced 3rd place was Shoal, 2nd Makerita, 1st Vivienne. After all the awards were finished Mr Burt called up the Team 5 Item. “Stand by me! Ohhh Stand by me!” We all sung. That was the last part to our Team 5 item. After everything was done Mr Burt said a prayer then everyone was free to leave. I went around talking, chatting and taking photo’s with people. At the end of the night I was really happy. Year 8 Highlights From Camp! The sun glistened through the glass windows as we headed down to Rotorua. 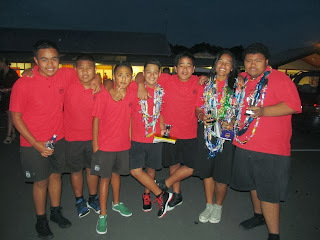 It was finally time for our Year 8 camp, we were heading to Camp Keswick down in Rotorua. The bus started up and we started our journey. It felt so long on the way down, two hours had passed and my body ached. We had a short stop for lunch, I got up and went outside for fresh air. Another hour passed and then the smell kicked in the smell of Rotorua was egg. I looked around and I saw a sign that said Camp Keswick, we had finally arrived. “Okay now get into your cabin and set up where your each going to sleep” Mrs Nua said. I was just about to race into our cabin when I just remembered about grabbing my bags. I did a quick turn and went back to the bus to get my bags. I was the first in my room all my other roommates Waata, Crusader, Kington L, James and Raenan were just arriving. The first day we got there The hike was an hour and a half and it was so hot, my skin was burning from the heat. Sweat covered my face as I ran down the hill, the wind blew into my face. My feet felt numb, but the momentum of going down hill kept me going. I could hear a big group of people below then I knew I had nearly finished. As I got closer I could see that there was a big line just waiting for everyone else to arrive. My favourite part about the whole trip was going down the Luge. We arrived to see the bottom of the hill it seemed like it was going to take forever just to get to the top. The gondola arrived and we hopped in quickly it shook a little bit and then after a while it balanced out. Going up I looked around and I could tell that some people were scared. After 15 minutes had past we were at the top where we jumped off at the top. We only had one free ride and when I was going down I was really nervous because I didn’t want to crash. I was going down the track as fast as I could without crashing, we finally reached the end after a long drive. 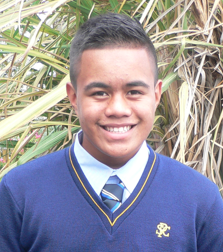 Darius Yr8 Memories from Team 5 PES on Vimeo. This is a short snippet of the main memories I have experienced here at Pt England School. * How long have I been at Pt England School? * Who were my teachers in each year level? * Who were my friends? 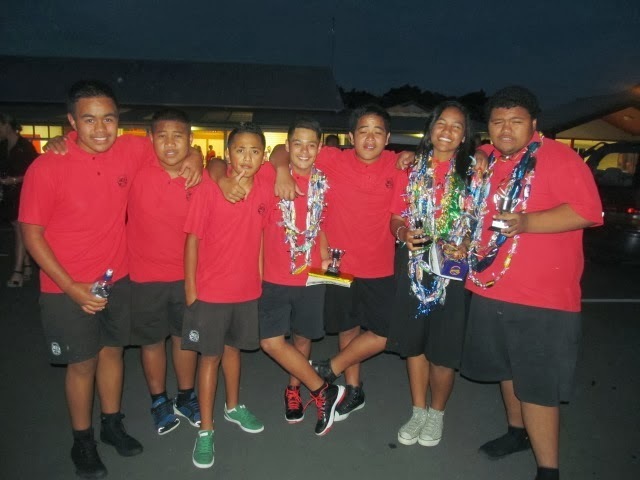 Waata, Crusader, Kingston P, Kingston L, Samuela, James, Starford, Xavier, Raenan, Potaua, Jesiah. * What was my best memory from school? My worst memory? Best memory: When we went to Kawau Island in year 6. Worst Memory: When we had Cross Country in year 7. It was really hard going through the bush walk because the ground was slippery and had sticks and twigs on the ground. * What was my best/greatest achievement at school? My greatest achievement was when I became a prefect and in year 4 when I got an academic award for 3rd place equal. * What will I miss about being at Pt England School? What I’m gonna miss most is the way learning at Pt England is using digital learning. * What are my goals for the future? To go to University and become a Lawyer, or become rugby league player. * What advice do I have for other Pt England students? Is to always have respect for your teachers.